Q: The Gallery has turned into a ritual of life for many EDM enthusiasts in London and surrounding counties. You see many of the same faces every week. What particular aspects of the night do you think stimulates that level of dedication? Gavyn Mytchel: Big line ups week in week out, amazing production, fantastic members VIP bar where everyone hangs out at from 11pm till 1am. Everyone knows each other up there, which is great. 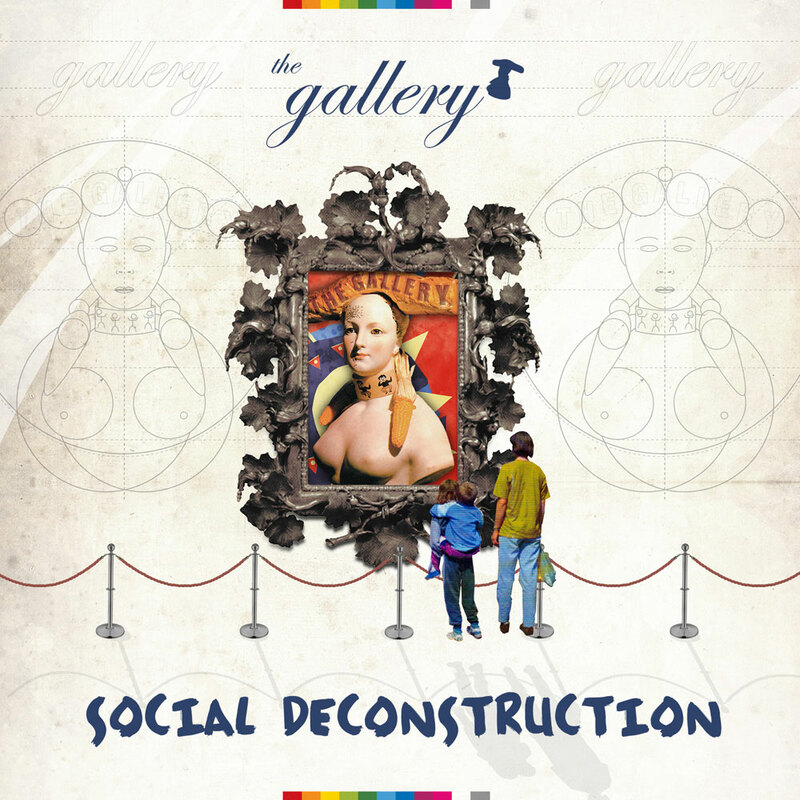 Q: ‘Social Deconstruction’ is the new Gallery CD. What were your aims whilst compiling it? Gavyn Mytchel: I was sick of seeing the same compilations with the same tracklists, I wanted to do something unique. Something with dedicated tracks to the Gallery, their own experiences over the years from either playing at Turnmills or Ministry. A release for our Gallery fan base to have, which is a bit special. Q: How did you genre-structure the two mixes? What do you feel is the tone, vibe and progression of them is and how do you classify the music on board? Gavyn Mytchel: The Gallery has always maintained a musical journey throughout the night, not just trance from start to finish we always have tech house to progressive then building up to trance. The first 2 tracks on each CD are bit more progressive sounding which is exactly what we provide at the club getting the clubbers in the mood without wearing them out too early. Q: Unusually for a compilation, almost all of the tracks used are either purpose-dedicated or special Edits for bespoke for ‘Social Deconstruction’. How did you set about coaxing all those artists into producing them especially for it?! Q: Your own ‘EC1 To SE1’ track leads out the first disc. Tell us a bit about that? Gavyn Mytchel: I made this back in 2008 when Turnmills had just closed and we had 5 weeks break before starting at Ministry, I never sent it to any labels, so thought it would be a good track to feature on the compilation. I knew that I would be opening the box every week and wanted to play more Prog, leaving my end of night trance days behind at Turnmills. I played it out nearly every Friday and always went off!!! Q: Do you remember where you were when you heard that Turnmills was to close!? Gavyn Mytchel: I knew back in 2003 that the lease was up in 2008. Danny Newman and I were doing the banking and he told me then. I was shocked as I never thought of it ending at that time. I had 5 years of knowing but never said. Q: The Gallery and Turnmills were, for years, synonymous. Do you feel that after 5 successful years at the Ministry, that has finally been put to rest? Gavyn Mytchel: Yeah for sure, we have a new crowd at Ministry (a very good crowd as well). The Turnmills clubbers are now all in their mid 30s and the new crowd never really knew much of the those days. So the transition has worked well. RIP Turnmills! Q: The Gallery’s imagery and flyer art has always been exceptional. Who’s the artist behind that? Gavyn Mytchel: ED Coward. The man is a legend. He has been with us for 12 years. He actually started 2 months before I started at The Gallery back in 2000. He used to do weekly artwork back at Turnmills but now we are at Ministry it’s a monthly flyer, he also does all Lock N Load artwork. Quality! Q: How does the work division break down? Gavyn Mytchel: It’s a two man team, I do all the bookings for all 4 rooms, all paperwork, flights, hotels, ground transport, itineraries, tech specs, set times, riders, guest list also The Gallery tours. Nish is the online man making sure everyone is promoting through their online sites, listings and interviews, etc. Q: How long have you been Resident and lynchpin for the nights now? Gavyn Mytchel: I have been resident since 2003, so 9 years and been in charge of the nightsince 2006. Q: What’s the most vital attribute a DJ must have in order to be booked to play The Gallery? Gavyn Mytchel: Lots going on musically, large fan base also someone who gets behind the promotion of the nights. Q: What is the craziest/wildest/wackiest thing you’ve seen during your time there? Gavyn Mytchel: Seen so many crazy things going on, most recently our Gallery girls got up on the bar in the 103 room with their iron boards and irons and started ironing t shirts then throwing them out to the crowd, they were like ‘what the f**k!!!’. Tea parties on the dancefloor. We had Predatron for the Judgement Sunday night. He was awesome. Everyone had their cameras out! Q: What’s your all-out favourite Gallery memory? Gavyn Mytchel: It was back in 2001, Daniele Davoli’s last track of his set at 4am was a remix of U2 – Where The Streets Have No Name. The whole crowd was singing then Judge Jules came on, slammed some banging tracks on, the crowd were awesome. The Turnmills laser going up and down then the pryos going off – wow !!!! Q: What is your personal all-time Gallery Anthem and why? Gavyn Mytchel: Too many to chose from, I have a memory of so many tracks that are associated with certain DJs. Push – Strange world was one of mine when i was playing last set but I think Airwave – Above the Sky is the main one, classic! Q: Where would you like to take The Gallery next? What’s the next hill to climb and what would you like its legacy to be? Gavyn Mytchel: Sounds are changing, some line-ups are harder to fill the club, and it’s a hard job trying to do 48 Fridays a year. Keeping it fresh, pushing and pulling at the scene. I would like to keep doing more cds and touring around the world. If we can reach 20 years old (2015) and being London’s longest running weekly club night, I would be more than happy with that, leaving a fantastic memory to thousands of clubbers. Q: Anything else you’d like to say! ?